Welcome to Grand Canyon Dental! We would like to welcome you to our office. Dr. Clint Serr and his exceptional team consider it a privilege to help you achieve and maintain optimal oral health and your ideal smile. We know that you have many choices for your dental care. At Grand Canyon Dental your satisfaction is our highest priority and we are dedicated to providing you with outstanding service from the moment you enter our office. Whether you’re experiencing a dental emergency or you want to improve your smile with cosmetic dentistry, Dr. Serr will attentively listen to your concerns, educate you on all possible options, and then create the ideal plan of action for your situation. In order to facilitate the best possible outcomes for our patients, another part of our commitment is to provide them with an abundance of information about our practice, procedures we provide, and dentistry in general. We believe our patient’s education in these areas better enables them to make important, informed decisions regarding their oral health and treatment options. Please use this website as a tool to learn as much about dentistry and our services as you desire. We hope you find it not only useful, but also interesting. We know that oral health is an integral part to overall wellness and we want our patients to have the best. We love our patients! We strive to develop long-lasting, trusting relationships with each one of them. We are always accepting new patients and your referrals are welcome and appreciated! We look forward to seeing you! My husband and I moved to Prescott in 2014. Being new to the area and not knowing anyone (to rely on for a dentist recommendation) we looked up the directory and found Grand Canyon Dental. It's always a hit and miss when you are new to a place and looking for Doctors and Dentists but we could not have been any more blessed, Dr Serr and all the staff at Grand Canyon Dental are fantastic. I've had a huge amount of work done there over the past 3 years including a dental implant. Dr Serr explains all processes thoroughly and carefully and is fantastic at putting you at ease. The staff, Ally, Margo, Karen and Tonya are all very caring and thoughtful and they all contribute to making the patients experience at Grand Canyon Dental much more comfortable, relaxed and anxiety free. If you are looking for a Dentist in Prescott this is the place to choose. I was referrred to Dr. Serr through the Veterans Administration. My first visit we started treatment for my teeth. Mind you, I had multiple issues with them. Dr. Serr is an awesome dentist who thinks his way through from the first visit to the last. Today I walked out of his office with my mouth completely restored. The staff is wonderful and kind. I really enjoyed the way Dr. Serr was on point with what he had in store for my next visit. I would recommend Dr. Serr to anybody that is having problems with their teeth. The whole office runs like a well oiled machine at getting the work accomplished. Great dentist, with a wonderful staff who greets you with a smile! i want everyone to know i was extremely afraid to go to the dentist so scared that my tooth fell out. I called Dr. Serr's office. They took me right in. I had waited to long to see Dr, Serr and he had a whole list of needed work.. He explained ever thing to me that needed done. We worked out a time schedule , a pay schedule , and the work completed, Dr Serr is the only Dr. That has ever called my at home to check on me, I love the care and the gentle touch He has always had. The office staff Dr, Serr has is awesome. They greet you by name and with a smile. I LOVE MY DENTIST ! Dr Serr not only fixed a few missing fillings, but also corrected an other dentist 's mistakes. He took his time and asked me over and over if I'm comfortable. He is the most caring and gentle dentist I have ever met. Great Dentist and Awesome Staff! Thank you for considering your dental insurance. We are a provider for the following insurance companies. Dr. Clint Serr received his undergraduate degree from Idaho State University then moved to Pennsylvania where he received his Doctorate of Dental Medicine (DMD) degree from the University of Pittsburgh School of Dental Medicine in 2002. Dr. Serr’s passion for creating beautiful smiles has lead him to participate in hundreds of hours of continuing education in order to provide his patients with the latest in developments in dentistry. He is currently a member of the American Dental Association and the Arizona Dental Association. Dr. Serr renders precise, conservative treatment that enhances the overall well-being of each of his patients. He is committed to ensuring that you have a relaxing and enjoyable experience each time you visit our office. 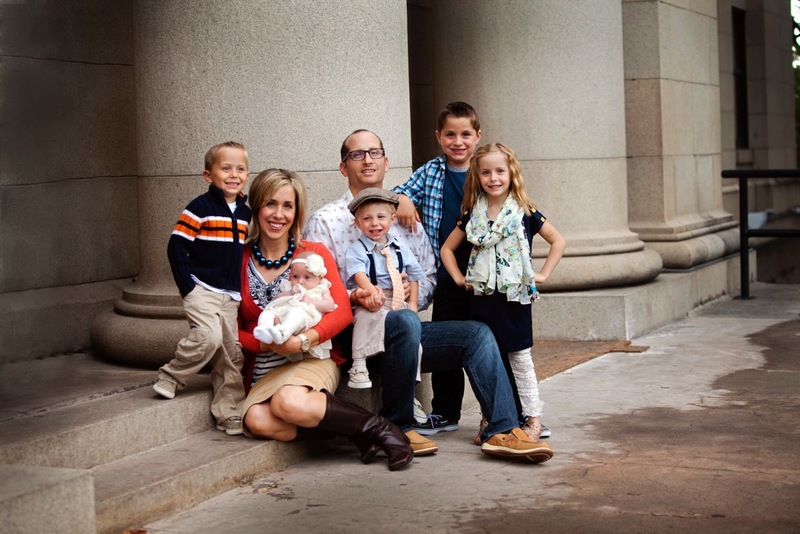 Besides his love for dentistry, Dr. Serr enjoys spending time with his family. He and his lovely wife, Deardry, have 5 children that keep him very busy when he’s at home. Outside his home Dr. Serr enjoys playing softball and basketball, indulging in chocolate or unique root beers, and experiencing the great outdoors. Dr. Serr Speaks Spanish. If you need a Spanish speaking dentist, Dr. Serr can help. Si necesita un dentista que hable español, contactenos a Grand Canyon Dental.